How I really Know he loves me…. When you have been married a while, and you get used to each other, The flowers don’t come rolling in like they did when you were dating. Its true. You get used to each other yes you still love each other, very much so. Things settle down and you become friends and KNOW each other. You learn each other like what really makes em mad, what really makes em happy. My husband and I got the rare date night last night. I have not done well the last while and have not been up to doing a lot of anything. Finally they have changed my medicine and a light switch went click in my brain and things are working again. It is like a fog has lifted and I can think clearly again, Im not walking around in a daze anymore. I feel awake. I’m not muddling through the day anymore trying to stay awake. My metabolism is coming back to normal and I AM PrAYing I can get back to the gym soon. I MISS my gym time. I had to buy fat clothes. bigger than my normal fat clothes. my husband loves me he really does. He consoled me as I teared up buying these fat pants saying they said it was your medication. IT will come off. I know this but it helps hearing the one you love most say it too. IT is hard sticking to a clean diet when medication is making you blow up. it also makes you want to eat the side of a concrete house given enough ketchup. you don t care. chomp chomp coming throughhhh! The good news IT will come off the other symptoms we were scared of they are going away too PRAISE GOD!! We finally got a date night! Bella went to a church thing last night. we used a gift card and went out .. TO EAAATT. yes. It was good. We do this rarely. I don’t gooooo. we get these gift cards and we love them because its a treat. We never go just us. we have no family here We have awesome friends that their daughter Bella is friends with we are switching out with we need to take our turn now and let them go do something. My husband suggested since it was on the menu MY FAVORITE…. KEY LIME PIE. I think im getting HUGE nothing fits I dont need this. He reads my mind and says. “WEIGHTS COMING OFF GET THE PIE we never go out” Oh you tempter…Ill have 3 bites you eat the rest? Deal? I stuck to my word. We then go to the little vegetable stand. Hubby points out.. Boiled peanuts. HE and Bella are both allergic. I on the other hand.. LOOOOOVEEEE THEM… He says,”Get them it will be ok, Ill be outside eat in the kitchen, its a treat ” I havent had any in for ev er. I get a small cup….. omgosh. the memories. reminds me of home and summer growing up. I had the biggest smile. I wanted to kiss him but …. I didn’t want to kill him. so i just kept grinning. He smiled at me and said he was happy to see me enjoy them. Its funny the things that make our moods go which way and what brings memories out in us. HE is allergic to peanuts but knows I LOVE THEM so tells me to get them and smile over there so you can enjoy them I will watch and see you smile because that will make him happy…..
this is love. it doesn’t really have anything to do with peanuts its anything.. its loving someone enough you want them to be happy. I do the same with shrimp for them. Im highly allergic but I open the windows I take benadryll because they love it. I want them to enjoy it. I had never thought about something so small as a way of showing love until the peanuts today . I remember driving down the road one day when all of a sudden my legs, and my forearms started cramping so bad it terrified me, my hands went numb, I immediately pulled over and called my Doctor, he told me to get to his office right then. He knew that he, and other Doctor’s had spent years trying to figure out what was wrong with me. 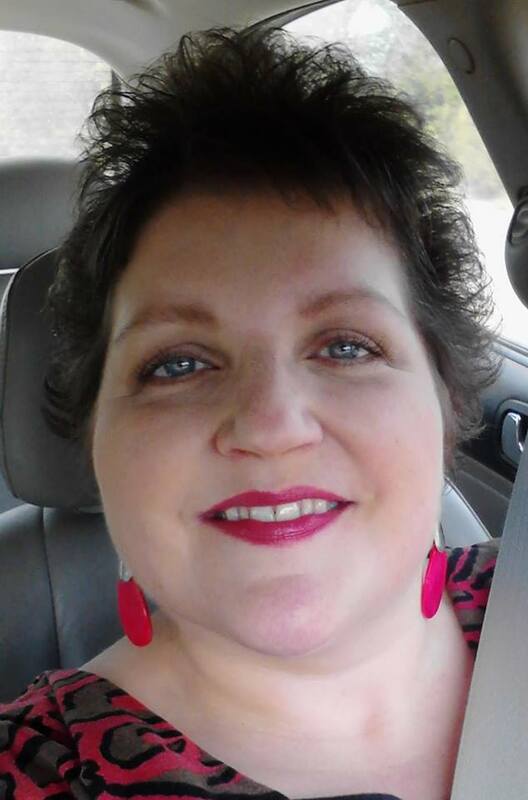 I had been tested for lupus, narcolepsy, rheumatoid arthritis, heart disease, and on, and on. When I got to his office after experiencing terrible leg cramps, leg weakness,and pain all over for years, he said, “I probably shouldn’t tell you this but I think you may have MS, I’m going to send you to a neurologist.” I was stunned of course, but after years you start thinking you might be a hypochondriac, so I went to the neurologist. All of his initial tests indicated a high probability of MS, but he was not convinced. He gave me medicine for numbness cramps and pain, and I went back to him monthly with worsening symptoms each month, he was still not convinced. Mom had her surgery, was in intensive care almost dead for 9 day’s, she recovered and went to rehab, she had been there a week when her Doctor told my dad and I that she was dying, and that we should call Hospice and let her come home. We did just that. We got her home and they let me take care of her, I asked if I could, by God’s grace I did, she was with us for 12 more day’s. She died surrounded by her 5 son’s, myself and my dad, her husband of 58 years. 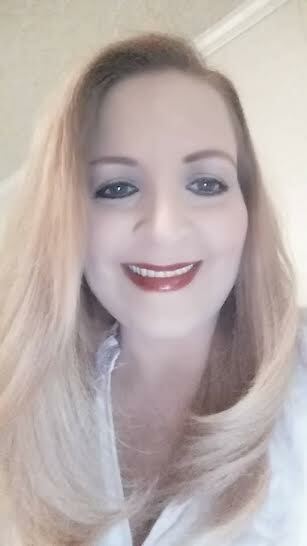 I told all of that because, 2 weeks later I was paralyzed on my left side, my eye’s got so blurry I could not see, I lost all control of my bladder, my legs were in excruciating pain, and I could not swallow food or liquids,I was rushed to my neurologist, he was convinced, they did an MRI, and a spinal tap. I was finally diagnosed. 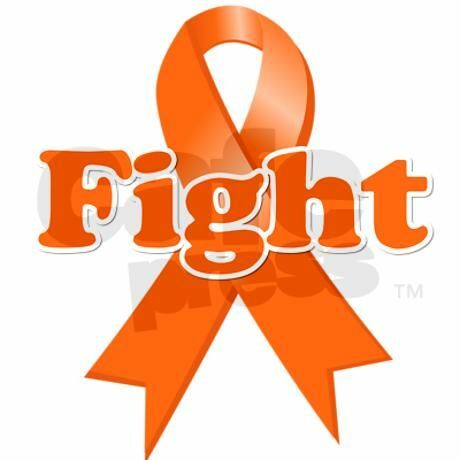 I decided on the advice of my Doctor to go to an MS specialist, she is convinced based on my history of symptoms, that I have had it since at least my late teens, so I was diagnosed in June 2012, I was 46. I would say to anyone newly diagnosed, try not to panic it does change your life, but it can change in good ways, I have met so many wonderful, strong, funny people through this, I am in support groups that are awesome. We laugh, we cry together, but we laugh more than anything! If you are going through a rough time, I would tell you don’t hesitate to reach out to someone, your Doctor, your best friend, anyone you need to. If you need to cry, scream, get mad, do it and then let it go, you will still have great day’s ahead! 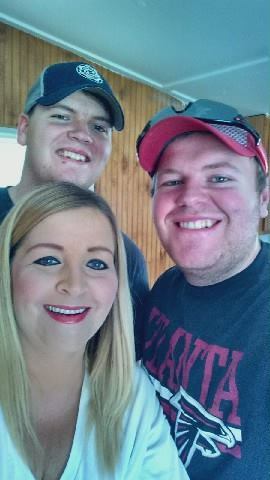 I will say that I have my ups and downs, good day’s, and bad day’s,but I have wonderful friends and support and best of all my two sons, Matt, and Denton. They give me so much love and support. They keep me going when I don’t want too. 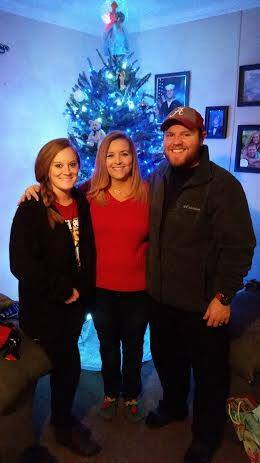 I am so blessed .Matt is 26, married to my beautiful, sweet daughter in law Mandie, expecting their first baby,(my first Grandchild),September 23rd. 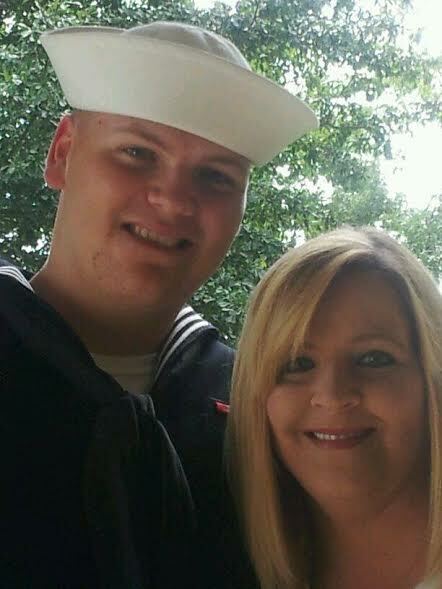 My youngest son Denton is about to be 21, he is in the Navy, a Hospital Corpsman. I am so proud of both of them. 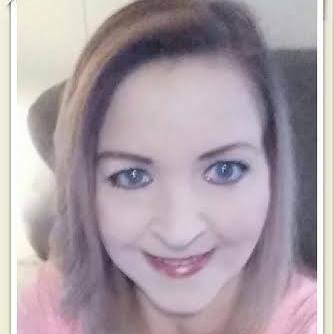 So in spite of MS I have a wonderful life, and look forward to all of the great day’s ahead! Hi my name is Kristin Vautour and I would like to share my story. 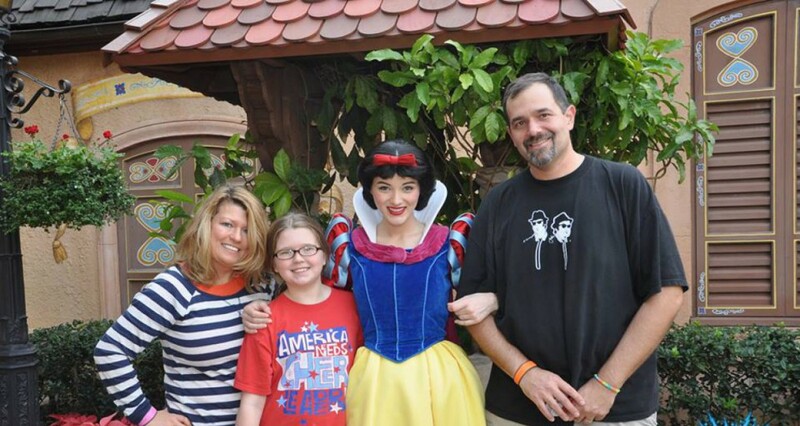 I was diagnosed with MS on Dec 18th 2013 at the age of 30. I believe it started in April 2012 when I lost sight in my right eye. The optometrist stated I was a “rare” case. The eye Dr. didn’t know what to expect. I regained my eyesight within a month. August 2013, I took a fall at my camp while i was cleaning. I ended up waking up the next day with my right side being numb. I went to the emergency room and was told later on that it was a “pinched nerve” and i shall regain feeling within a few weeks. Well a few weeks later, my stomach and back went numb along with the right side. I went back to the emergency room and was given and MRI. I received a phone call a week later stating that I had an appointment to see a neurologist. 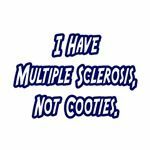 I went to see the neurologist and was later told that I had multiple sclerosis! That was the worst day of my life ever, well besides the day i was told that i have Endometriosis in 2007. Anyway, I was sent out to have all these tests done to make sure the diagnosis was indeed correct. I later told only close family about my diagnosis and they were all crying and in shock! My little sister thought that i was going to die! I wont lie to you, I was afraid and fell into a deep depression but who wouldnt after hearing that you have a neurological illness that has no known cure as of yet! It took me almost a year before telling the world, well my friends and extended family only because i felt that they would treat me different or give me sympathy, when really, all i wanted was a shoulder to cry on at times. 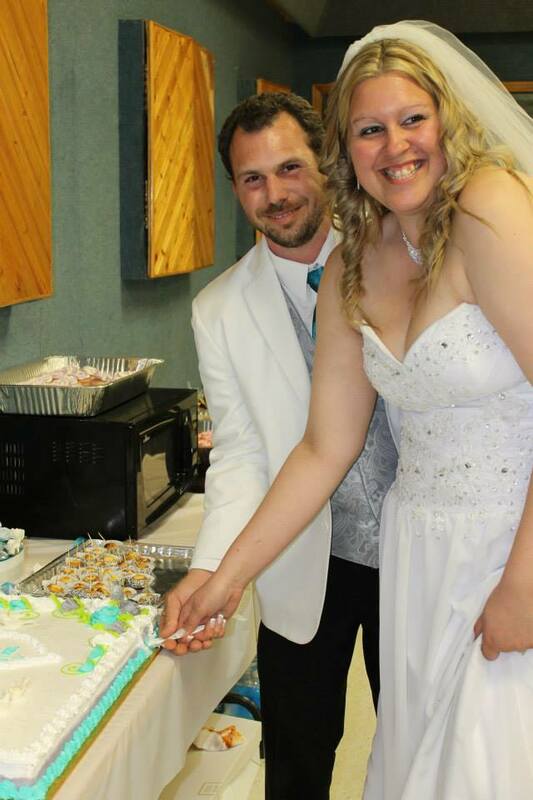 My now husband has been with me for 10 years and thankfully he is here every step of the way I would be lost without him, I finally decided to marry him, the man of my life in April of 2014! 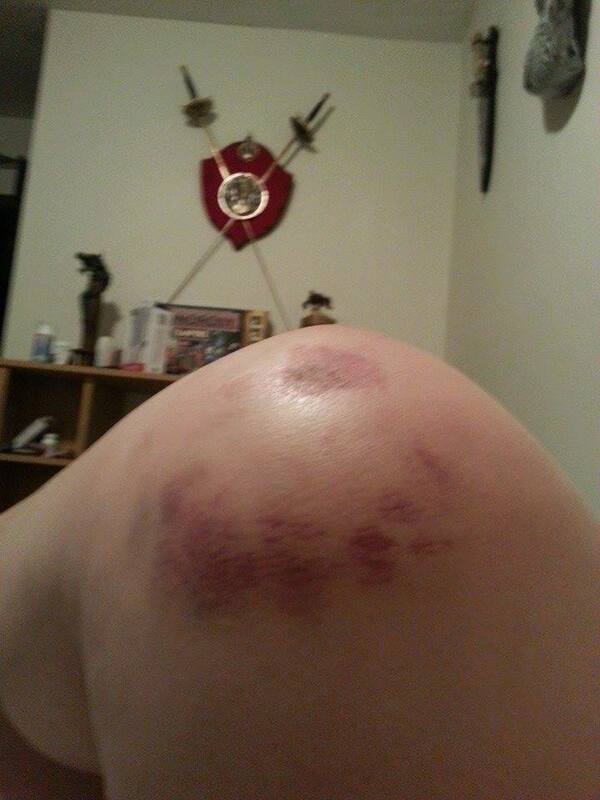 During the few months after the fall and the right side being numb, i fell down a flight of stairs at work. Off to the emergency room I go. I suffered a mild concussion, fluid in my right knee and a week off work. Apparently, MS was a part of this. I have done tons of research to find myself and get answers to the questions i was looking for. Day after the wedding i had a relapse where I couldn’t’ feel from my waist down to my toes.To this day, i still cannot feel my toes and have a hard time walking. I have spent so many days going back and forth to the emergency room, that i forget the number. Its pretty bad that when i go in i have to educate the staff members about my condition and what I need once I have a relapse. I have been on Copaxone and since my body rejected the medication, I am currently taking Tecfidera. I feel that the medication is not helping only because of stomach issues since August 2014, but that is another issue, that I will discuss when I figure out what it is. I have not posted in the last couple of days. A viral bug had hit Here (me) pretty hard. That is just one of the things that happens with M.S. We are more susceptible to Viruses and other illness. Especially when you have a school age child that brings home all the crud from school. I apologize for not updating, but I will be extending this until EVERY PERSON IS HIGH LIGHTED. EVEN if IT GOES INTO APRIL. Since I got this virus I wanted to share some things M.S. does. I don’t want to be negative but so many people JUST DO NOT understand. One simple thing like a cold that on a normal person could just be a sniffle that they can keep going with, literally has put me in the bed for going on several days now. It is hard to imagine and yeah some thing “YEAH you re just milking it” NO. This Project IS VERY IMPORTANT TO ME. I was very upset to have to put it on hold. I couldn’t talk, stand or sit up. Still dizzy when I stand. BUT, I am finally able to sit up. I am being fussed at for doing this right now. MS people often push harder and do things to prove themselves worthy. I know I do. It is difficult to understand when you don’t have a chronic illness, better yet a couple of them. I know I belong to a group that has some pretty tough people in it. These are some TOUGH individuals that have hearts of gold. They are there for me and everyone in there because they go through it themselves. I had a friend that came here and was here for me when I was literally at my worse. I will never for get that. I had Tina that I highlighted last that let me do “FLAT TINA” to help cheer me up. I was in a really bad place having these shingles FOR SO LONG. They are amazing friends. I love them. I am thank ful for them just like I am my family and church family and any friends. Support groups are important which leads me to my first key point. 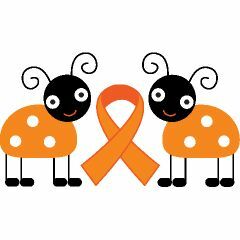 SUPPORT* Multiple sclerosis is a tough disease not just on the person going through it but their entire circle. The entire family suffers. I am fortunate I have a family group of friends and church family here. So many don’t. If you live near someone and you know they have a chronic illness such as MS If you know them, do something nice occasionally. put their paper on their porch, Take the garbage can back to their house from the road, get their mail for them, or give them a call when you are going to the store see if they need anything. Be a friend. They may be reluctant at first, that’s normal, Don’t let it discourage you. People with chronic illness are used to doing things for themselves they don’t like asking for help. It may take a time or two. I know there are so many times I wished my friends would show up in PJS with a movie so I didn’t feel intimidated to have to put on clothes and go anywhere. But IT IS A LONELY illness. When in a flare you can’t really go anywhere. Especially with secondary shingles. Not everyone is that way though. BUT you can give them support other ways. I have gotten so many cards and let me tell you that right there is a great way to show you care. just a simple card. is so sweet. Drop an email or an instant message I know it is hard to get hold of people by phone these days. But you can leave messages. Knowing someone out there is praying for you and cares sometimes can be the difference in fighting that extra bit harder. 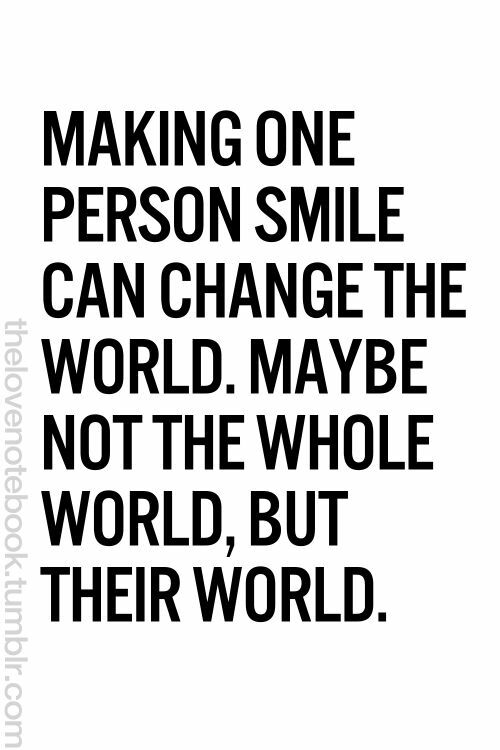 so I encourage you to do this for others. 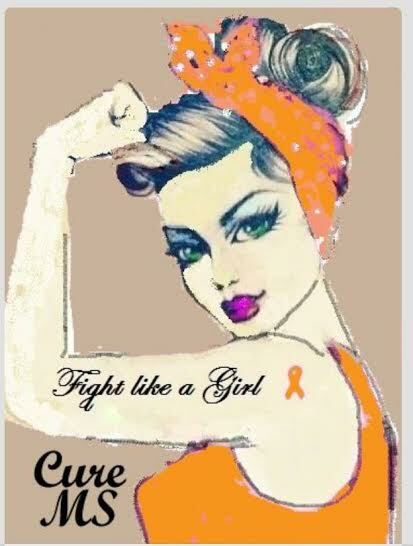 So many fight this illness and OTHER ILLNESSES. Elderly and young alike. a simple thought of “Im here and thinking of you and praying for you” will help them so much even if you don’t understand. I had someone tell me they were reading about MS and trying to understand. That was the sweetest thing i had ever heard. 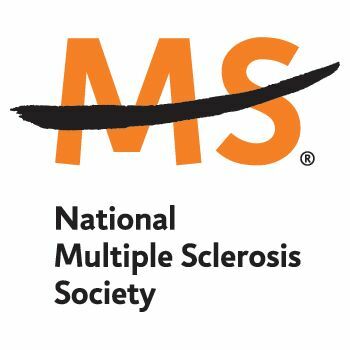 http://www.Nationalmssociety.org also can put you in touch with one that may be right for you. Those are just a few. There are many out there. Just google MS SUPPORT GROUPS and the list that comes up is endless. MS WORLD has different sectors under it that can put you in touch with others that have smaller groups. *Rest- We all know how important rest is. That is the one thing I remember before I was officially diagnosed. I was so tired. I used to go go go go go. constantly. Always the one doing and going. BUSY always. I cannot get over the devastating exhaustion that goes with this disease. It is important (according to my dr) to listen to this and rest. 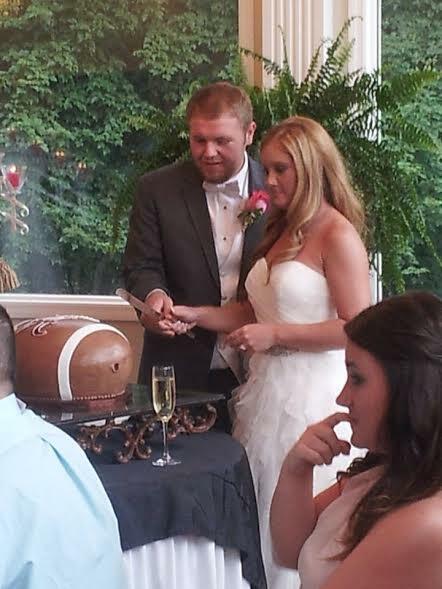 I know we want to not disappoint our families or friends and we want so badly to do things. We wear ourselves out just getting dressed to go places and it is disappointing. When we have good days we want to celebrate and we often over do it. WHY? because we don’t know when the next one will be. so we just go crazy having the best day ever getting as much done and as many memories as we can out of it as we can. We know the next day (or the next) we will be back down to the rest cycle. When we hit a remission we can feel like a normal person. It is just getting there. 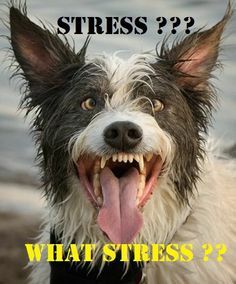 There are lots of great ways to manage stress. Many MS people like to spend time creating Making Art, creating poetry, There are so many outlets you can use. 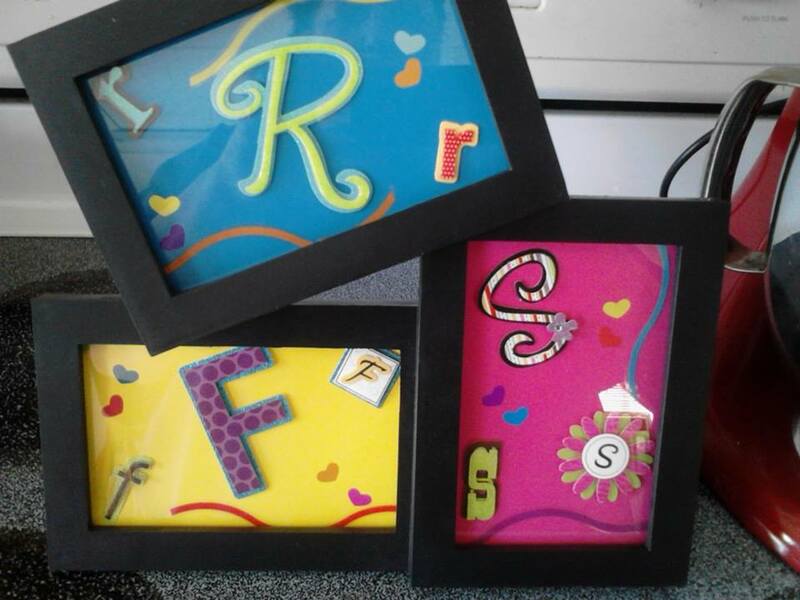 I personally love to scrapbook photos of my family and make home decor art as well as paper crafts (cards).I find that doing things for others helps get my mind off what is going on in my world. (when I am not having a shingles attack and can volunteer) our church has so many programs to volunteer with. It really is good for the soul. If you like to make cards there are lots of places that love to receive them such as the veterans hospitals, nursing homes, Ronald Mcdonald house, Churches have shut ins Im sure they would love to give them to someone that needs a smile. Those are just a few topics this week I wanted to share with you that some don’t discuss when talking about MS. I will go over others next week. My left foot became numb and gradually worked its way up until my entire left side was completely numb. Within days I had double vision and couldn’t walk a straight line if my life depended on it. I eventually ended up in the E.R. where they immediately set me up for an MRI. That first MRI showed one lesion on my brain stem. My second MRI, in July, also showed that same lesion but it had gotten bigger. Still just one lesion, so it wasn’t “multiple” sclerosis. Throughout the year I continued to experience different symptoms, such as choking, weakness, vision problems, etc. In December 1999 I had another MRI and a spinal tap done. They both came back possitive for MS on December 17th. I now had 12 lesions. 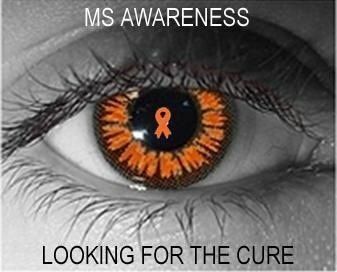 So, it didn’t take long to get diagnosed, but now that I know what MS is and what the symptoms are, I know I had it in high school 33 years ago. Needless to say, my life has taken a dramatic turn since then. I was working two jobs when I was diagnosed; within two years I was on disability. My youngest daughter, now 20, doesn’t remember me without MS. Seven years into the disease I found out I have PRMS. No matter what form of MS you have the biggest thing you can do for yourself and for your MS is LISTEN TO YOUR BODY! If it’s tired, rest. If it wants sleep, go to bed. If it’s weak, sit down. Fighting it will only make it worse. Everybody deals with MS differently, but I survive it with humor. I love to laugh! I have found support from different sources. The National MS Society, seminars, different groups online, etc. Just keep looking until you find where you’re comfortable and where you fit in. My life is amazing! Even with MS. I have two amazing daughters, both in college. I have met, and now live with, an amazing man. I have wonderful friends and family. 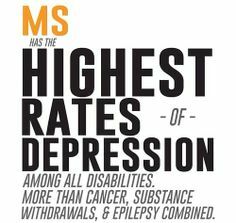 Just remember that MS doesn’t end your life, it just changes it. After a couple of years of having different vision trouble, many dr appointments with no answers. I went on vacation to an island right after spring. Being a hairdresser, precise vision is usually a must. I came home from the trip, woke up the next day with blurry, double and triple vision. My eye sight proceeded to become worse to the point my eyes were literally stuck. I was unable to move them up or down nor right to left. That’s where the start of this journey to find out what was “wrong” really escalated. After two spinal taps, they found nothing and was sent home befuddled. This may seem very odd to hear. I then broke out in the hives and I was given prednisone as the result. Which as we all unhappily know is about the only thing that “fixes” us. It also cleared up my hives. It took another week or so to “straighten up” from all that! .I find laughter in something every day to help deal with M.S. …Laughter is the best medicine!!! If someone was just diagnosed I would tell them not to overwhelm themselves with everything they hear,or read just any and everything. It can be very scary! When going through a hard time with M.S. my advice is If you have a understanding person keep them close, don’t push them away. Try to find your comfy place, having a pity party is totally fine. Just don’t stay there forever, And remember this to shall pass. Thank you Sydney! 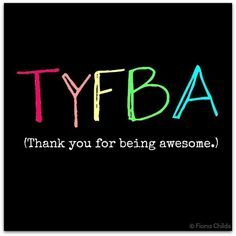 You truly are an MS WARRIOR! I have not known Sydney that long but what I do know SHE TRULY IS a fighter! MS will not get in her way. She is very funny and has made me laugh on so many occasions. kEEP UP THE GOOD FIGHT FRIEND! Today’s post is going to be a little different. 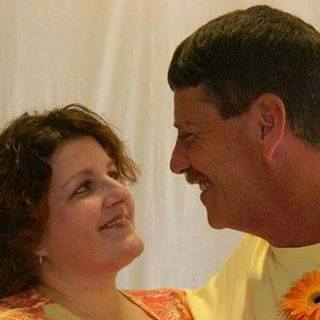 It is about a couple and they BOTH have Multiple Sclerosis. Yes you read this correct. BOTH of them. Their story of faith and how they deal with this disease is truly glorious. 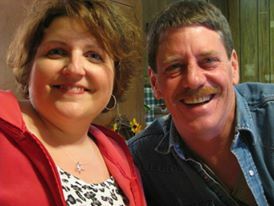 I have known Randy Fedric for some time. I will never forget when he told us he met Susan. Their love for the the lord and each other well. I just love em to pieces. They completely inspire so many and I just could not do any type of awareness without them. You will see why. 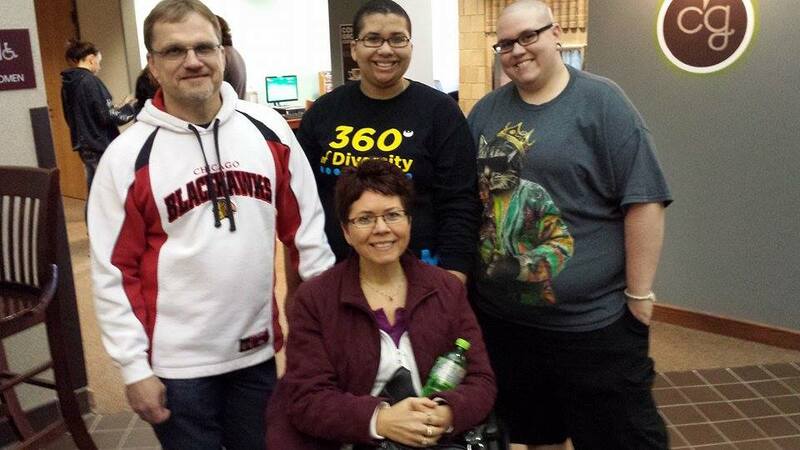 Susan: “We met online… in an MS support group. 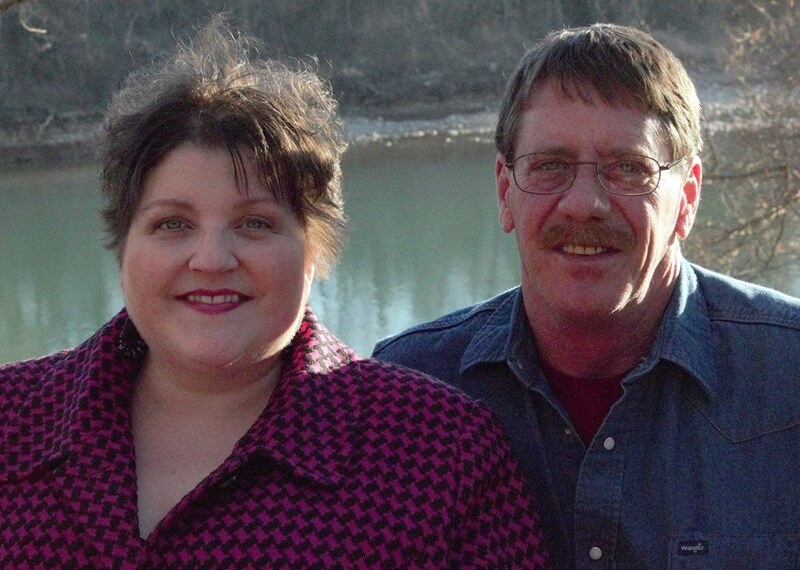 Randy was diagnosed in 2009 after going through over 8 years of symptoms. Susan was diagnosed in 2010 after many years of weird symptoms. She also has fibromyalgia, so a lot going on kept being blamed on that. We have to go to a lot of doctor appointments. We have struggles everyday of some sort. That would cause a person to be in a cranky mood most of the time or mad at God because he allowed that to happen, but we don’t look at it that way. It keeps us closer to God because we have to depend on him. MS has deepened our faith in the Lord. 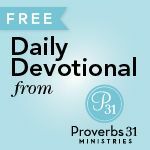 We have to get to some point to where we realize that our complete and total value is on the fact that we are God’s children. 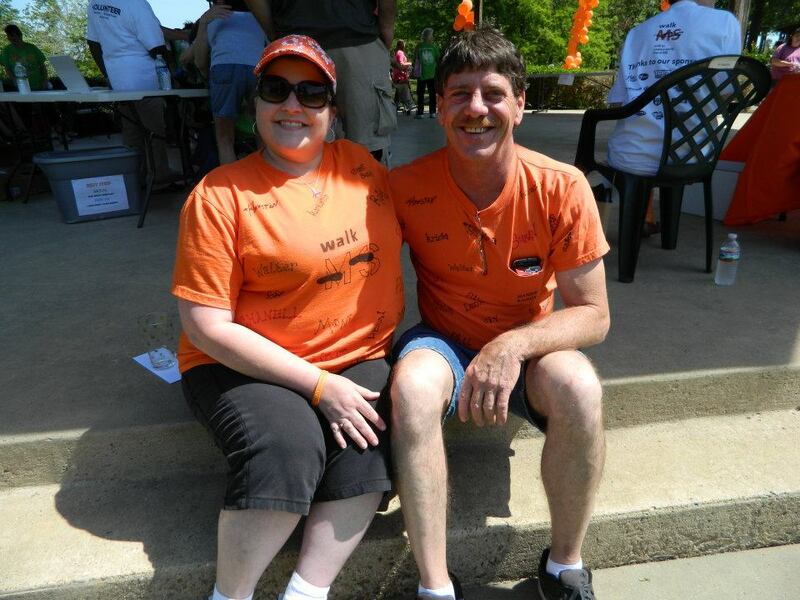 One of the things Randy realized since being diagnosed with MS, is my ability to do things in the past. I could do anything. 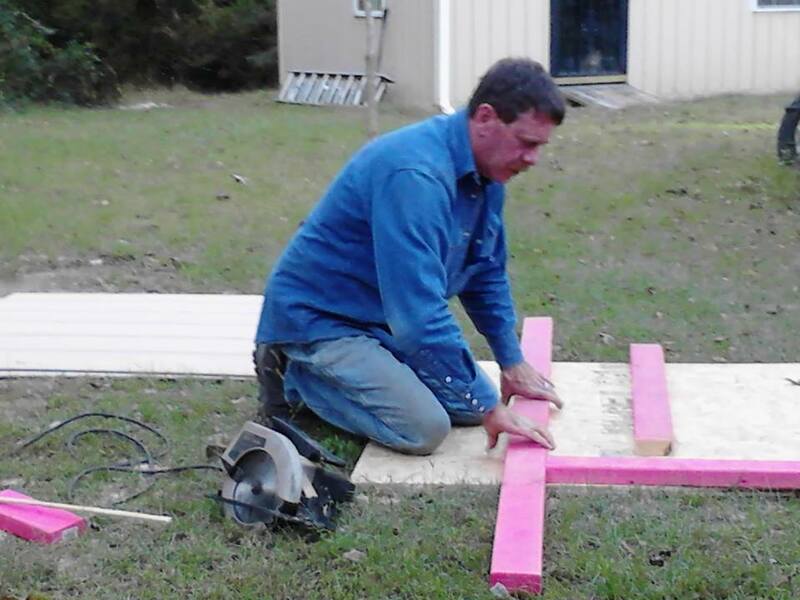 I could do construction, carpentry work, welding, and work on vehicles. 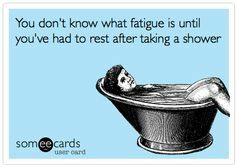 Our advice to people out there that are newly diagnosed and also for the warriors that maybe are having a rough time with this disease is to learn to pace yourself, learning to conserve your energy is a lifelong process, so as to stay active and not over do. Learning that when you have a bad day, it won’t last forever it is just that a bad DAY. Allow yourself to experience those days and talk about it. GET SUPPORT. Negativity is not a good thing for Multiple Sclerosis. This is reality. No person is an island unto themselves. Everyone needs a healthy support system. 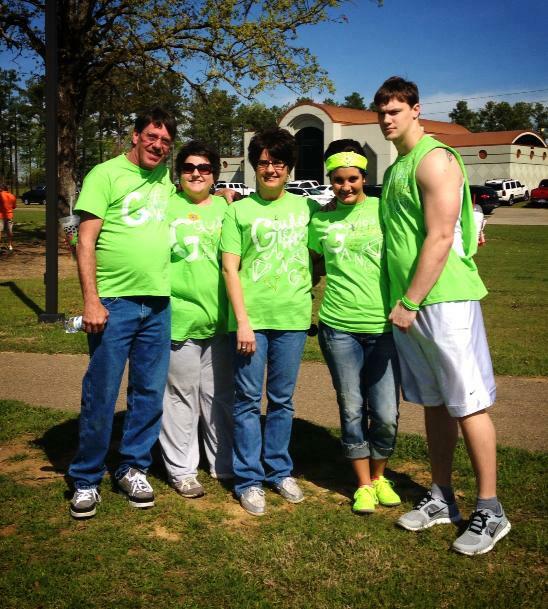 A walk to cure M.S. LETS GO TO DISNEY WORLD! nutrition and exercise in treatment of M.S. Jesus died and lives. God's answer to your sickness. MS kills connection>> <<Connection kills MS. 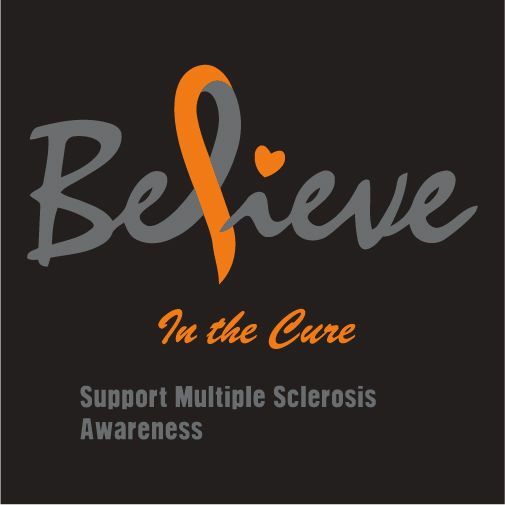 Helping to raise multiple sclerosis awareness.